Time to make some new templates. I iron two pieces of freezer paper together to make them sturdier, yet still, after a few rounds of use, they start to lose their sticking power…the shiny side says “I’ve had enough” and it’s time for a new round of templates for my Little Baskets, Starflowers, and on the upper left, some applique for the new Dear Daughter project from Sentimental Stitches. 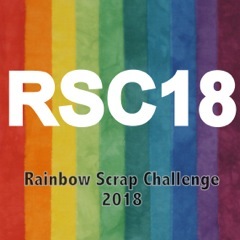 The Rainbow Scrap Challenge color suggestion of the month is green. I have appliqued two green themed Little Baskets thus far, with another one prepped and ready to go. And then those older freezer paper templates have been thrown out and new ones will be used as per the earlier photo. As to the last item needing new templates, the EPP Starflower, I had such a fun exchange with a reader of this blog today. Janet is a talented quilter who enjoys EPP and she would like to start making some Starflowers as well. We exchanged a few emails and she sent some links to me with an alternative to my whip stitching…I may try that method out on my next one. I hope that down the line once Janet starts on these that she might send some photos of hers that I can show on the blog :) We both have a love of reproduction fabrics.